The centenary of Griffith is a milestone and it was members of the community who proposed the development of a sculptural precinct by the waters of a central irrigation channel, which is symbolically the lifeblood of the city. A group of international sculptors will assemble in the grounds of Pioneer Park Museum to create artworks for a park to celebrate the first century of the city. 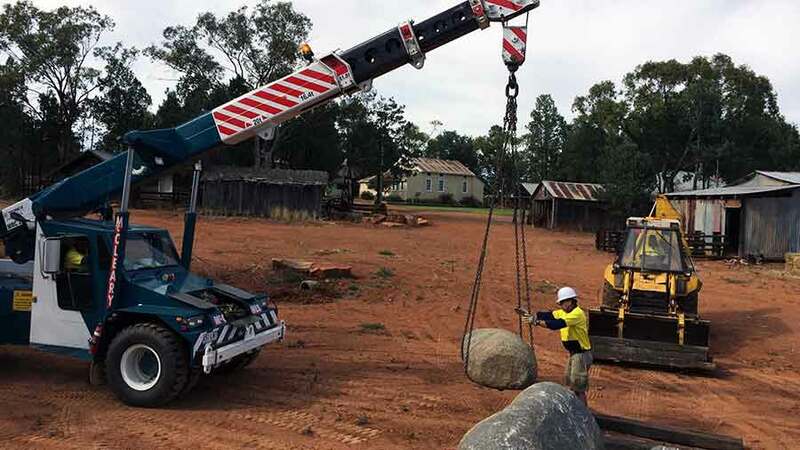 The activity will make the production of public art an event for the public to witness and, in doing so, gain experience in an art form that is rarely seen in the Western Riverina. "Symposiums are great for bringing sculptors together from all over the world in one public space," enthuses convenor Luke Zwolsman. "It brings art to the people and allows them to see how stone sculpture is created. There's a wonderful symmetry in having public art created in public." In a little over a fortnight, blocks of granite weighing up to four tons will shaped into forms that reflect the observations and different styles of seven artists. Each work in abstract styles but there will be distinct differences in their approaches. "Different sculptors bring individual styles," agrees Zwolsman. The choice of material means the sculptors will have their work cut out for them. "Most sculptural symposiums work with softer stones. There are few granite-based sculptural symposiums in the world. You need to employ different skills to work with it." The granite shows white streaks of silica, making it shine brightly in the Riverina sunshine. 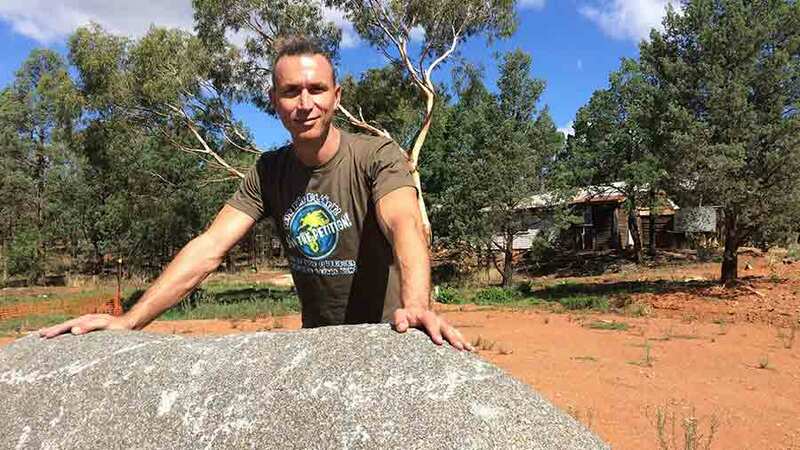 "This granite is fairly local, coming from near Parkes. It is one of my favourite sources of granite." It's a material that, as well as requiring skill to shape, possesses both practicality and prestige. "Sculpture is a tangible art form. People touch the work, some climb on it. It's tactile as well as visually stimulating. Granite is more expensive than marble, as it is more difficult to quarry." The Symposium will also present an opportunity to gain hands-on experience in sculpture with a day-long workshop planned. Griffith's own craftsman Hape Kiddle will introduce participants to the debate of form versus function through carving individual spoons. Kiddle has extensively explored this form, through solo exhibitions and most recently an auction to raise funds for a public school program. Workshop participants will explore form, line, texture, and material benefits and restrictions while carving by hand using only a chisel and carvers knife. Up to twelve people will learn material issues, including wet versus dry timber and maximising woodgrain strength. Kevlar gloves will be supplied for safety, as well as the use of tools including chisels and carvers knives. "The workshop will be aimed at beginners," says Kiddle. "It will be a gateway into sculptural basics and process that will enrich their understanding of the stone sculptors at work." The international sculptors will also be providing an education, with a 10-day program planned for visits from tour groups and schools in and around Griffith. A number of larger events are also planned, including a Welcome to Country, a Mother's Day afternoon tea and a concluding Long Table Dinner with the Sculptors on Saturday 14 May that will provide an opportunity for the public to hear about the process of creating sculptures from the sculptors. Photos and text by Jason Richardson, who works as curator at Griffith Pioneer Park Museum as well as communications officer with Western Riverina Arts.